This week I created Thank You note cards on My Digital Studio. Creating with MDS is fast, easy and fun! If you have wanted to create digitally using MDS but want to try before you buy go here to download a free trial. The challenge this week at Hand Stamped Sentiments is a color challenge with Summer Fruit, Pool Party, Midnight Muse and Primrose Petals. I’m printing several of these note cards. I love this digital stamp set. I hope you’re inspired by these colors. Your project can be created digitally or traditionally. 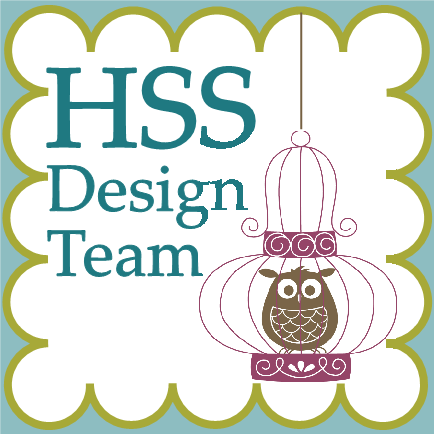 We’d love for you to join us at Hand Stamped Sentiments. Here’s a quick post to show you this card I created to thank my customers for their orders. I used the Oh, Whale! stamp set and Happy Whale Clearlits die. 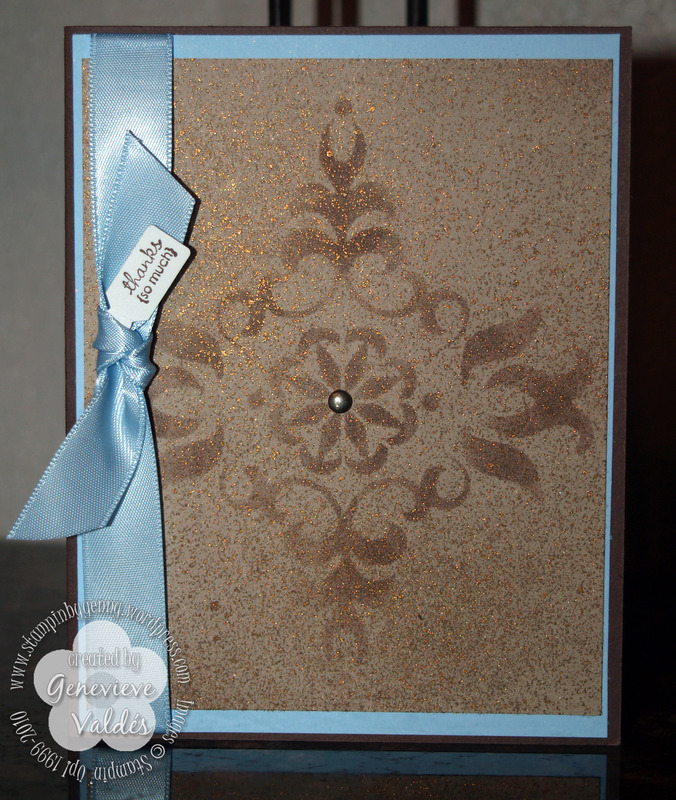 For my make and take for my workshop this past Saturday I had my guests make a card with a vintage look with the Mostly Vintage stencil, item #118877 from the new Summer mini catalog. For $9.95 you get both the positive and negative stencil to create intricate designs for your projects. And there’s no end to your creativity—use the stencil again and again. For that extra touch to the front of the card I used Log Cabin Smooch Spritz, item # 119921 – $4.95, to add that extra sparkle. You should be able to see the sparkle when you enlarge the photo. This spray is so much fun and easy to use. To prevent the over-spray from landing on your work space or other projects accidentally you can purchase this nifty Color Catcher, item #121093 – $5.95. It’s lightweight and portable, so you can pull it out and put it away anytime with complete ease.